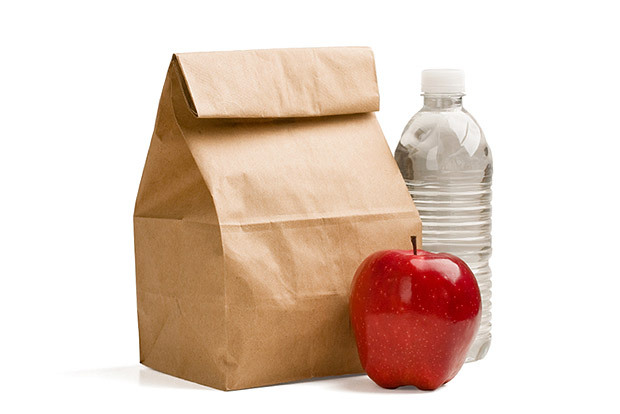 March 10th is 'National Pack Your Lunch Day'! Packing your lunch is a great idea for many reasons! Packing your lunch puts you in control of what you are choosing to eat, the portion sizes you consume, helps you to develop a long-term healthy habit, results in you having more energy and stamina, and it will keep your metabolism stimulated to burn calories because you will be eating the correct balance of foods and you’ll have healthy snacks available throughout the day. When you pack your lunch you are in control of the portion sizes and what seasonings are being used. Be sure to season your foods, using non-sodium seasonings, before they are packed this way they will not be bland. A good idea for your dinner meal, plan to prepare more food than what you are going to eat, this way you can immediately portion and place the leftover protein and vegetables into containers. Place the containers in your lunch bag for work the next day and refrigerate if necessary. Don’t forget to place your supplement powders or bars in your lunch bag also! This saves you a lot of time in the morning when everything is already prepared and packed. On the week nights when you know you will not have any leftovers available, make a back-up plan. At the beginning of the week or over the weekend, whichever works for your schedule and will not be overwhelming, make a list of the groceries you will need for the week to set yourself up for success. You can hard boil eggs, pre-cook chicken, and chop up a bunch of vegetables and fruit - this way you can easily grab these foods and go. Cottage cheese and canned tuna are easy to measure and readily available to consume. You can organize your refrigerator for Monday through Friday lunches so you know what meal is for when. It is a great idea to make yourself a note and place it on your refrigerator or counter-top, wherever it will be noticed to remind you to not forget your lunch. There are lunch boxes that can keep your fresh foods staying and tasting fresh longer. When trying to eat healthy, it is always a great idea to find others who are packing their own lunches and trying to eat healthy themselves. This way you will avoid eating out and helps hold everyone in the group accountable. You may also get some great recipes and ideas to help you stay focused on eating healthy and achieve your goals. If you do not have a refrigerator at work you can pack a cooler in your car and plan your meals based on that. Several foods are good chilled. For example, shrimp, tuna, cottage cheese, hard boiled eggs, and any raw vegetable or fruit. Always make sure to keep a box of supplement powders or bars in your car in case you forget to grab them, you have reserve. If you are worried about your lunch being stolen from a community refrigerator at work, they now make lunch boxes that lock. This way you do not have to worry about your lunch coming up missing or being tampered with. You can see packing a lunch is very important! By not eating out you are significantly cutting back on salt and fat intake. Preparing, pre-planning, using fresh foods, watching seasonings, and using portion control is a big part of our health!